From design to installation, maintenance, and inspection, no matter what aspect of fuel gas safety your job involves, the latest edition of NFPA 54 is essential. 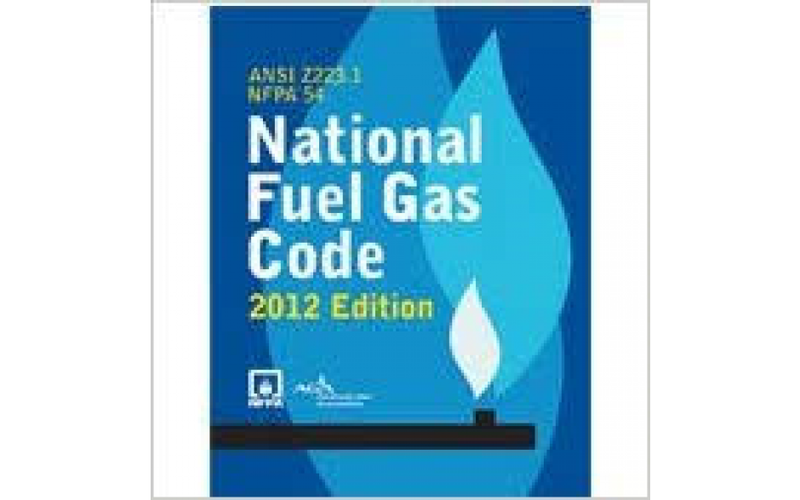 NFPA 54 National Fuel Gas Code 2012 Improve protection against fire and explosion hazards using the 2012 NFPA 54: National Fuel Gas Code. Updated for newly recognized risks and for the latest techniques, materials, developments, and construction practices in use today, the 2012 NFPA 54: National Fuel Gas Code provides revised, industry accepted guidance for the safe installation and operation of gas piping systems, appliances, equipment, and accessories.